One of the first Lao/English children's book ever published in the US is this book. 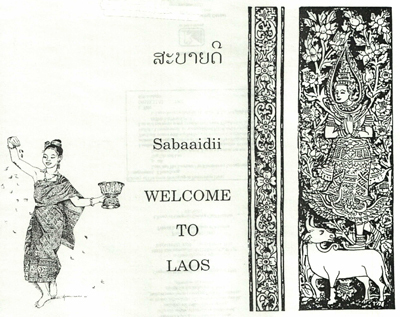 Published back in 1995 by Khamchong and his polish wife Halinka. It was nicely written by him and beautifully illustrated by her in black and white detailed drawings (sample page shown below). You can still find it for sale online but I found this copy at a library a long while back. 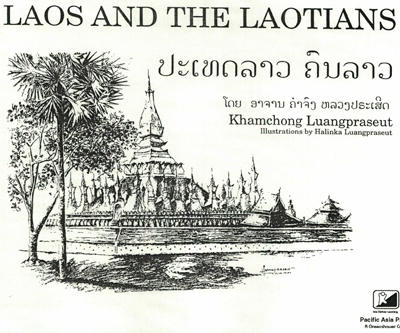 There are plenty of newer Lao/English children's books being published in Laos that you could buy but this is certainly one of my old time faves in terms of bilingual (Lao/English) kid's books.